It has been much to HOT for birding - but snuck out for a couple of hours. Ghastly light but at least found this little Black-fronted Dotterel. But why has it fluffed up in the summer ? I thought birds fluff up in the winter to increase the amount of insulating air in between the feathers. Does the same technique prevents overheating in the summer ? I really don’t know Gautam. Maybe. 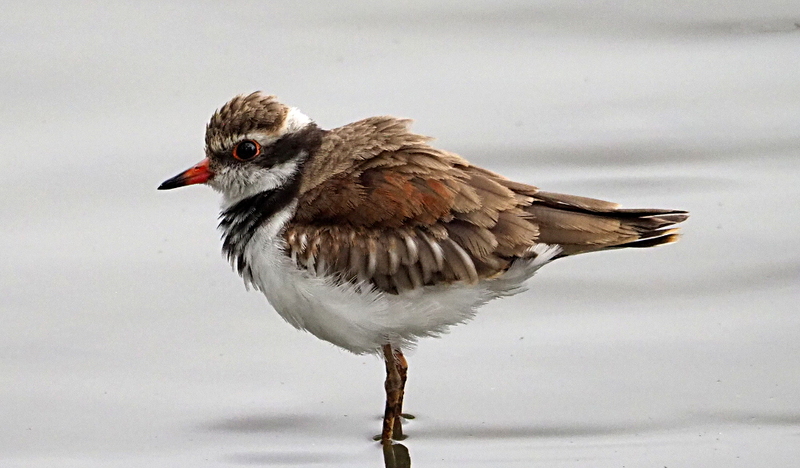 These little birds spend a lot of their time on the edges of muddy rivers, ponds and lakes. This one had just flown in and settled, giving itself a shake. Maybe something to do with seperating the feathers after flight - but that is just my sheer speculation with no sound belief to confirm. Thank you all - appreciate you commenting. Very nice whats not to like, bird looks hot too.